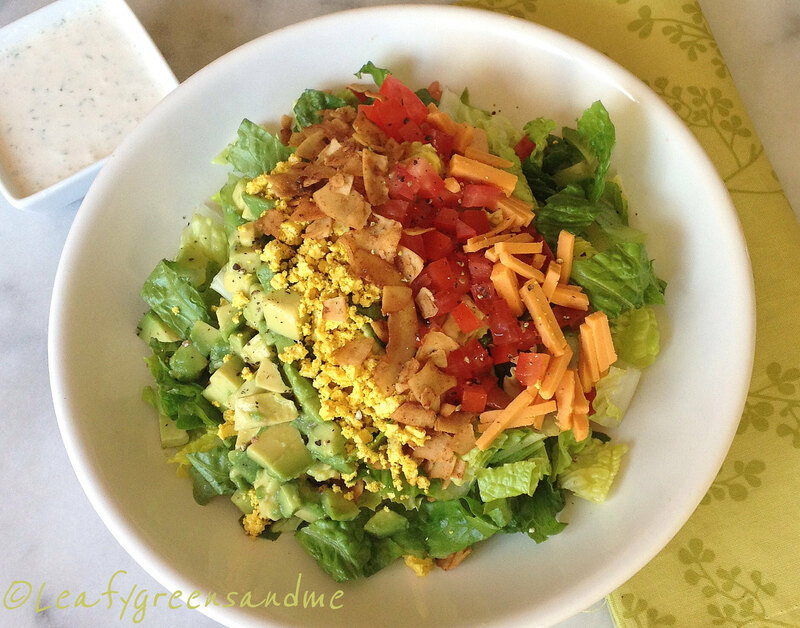 Is there such a thing as a healthy Cobb Salad?...you bet! No saturated fat, cholesterol and tons of texture and flavor. I could drink the Creamy Dill Buttermilk Dressing and be satisfied and my hubby could eat the entire bag of Phoney Baloney's Coconut Bacon...had to hide it from him...seriously! A perfect salad for a hot day...reaching 90+ here today! Organic, Sprouted Extra-Firm Tofu, crumbled and mixed with turmeric and black salt (can be purchased at an Indian or Asian market). Note: Whisk all ingredients together in a bowl and chill until ready to use. For the cashew milk, I always keep some ready to go in my fridge. It will keep chilled 5-7 days. I soak 1/2 cup cashews over night, drain and then add them to my Vitamix with 1 cup of filtered water. If you don't have a high-speed blender then you should strain the milk before using. Strawberry Shortcake...or a Parfait Please!